When most people think of earthquake damage, they usually only think of the immediate aftermath of a large quake. However, building damage can occur long after a big quake and even following a series of small earthquakes due to ground movement and settling. Earthquake damage ranges from cosmetic damage on decorative concrete surfaces to structural damage of a building's foundation, walls, or support beams. 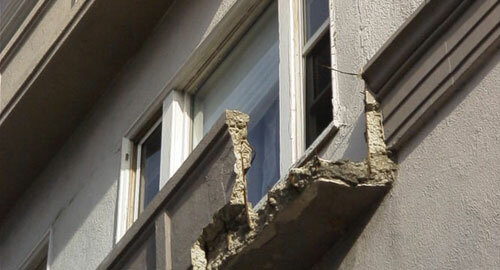 If your building is showing signs of earthquake damage, Concrete Restoration Systems can help. We have over 28 years of experience providing concrete repair and restoration services to Orange County, Los Angeles, Riverside, and San Bernardino property owners and specialize in earthquake damage repair. In addition, we can install concrete coating and waterproofing systems for added protection after the repairs are completed. 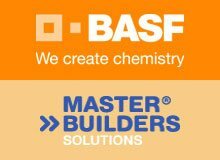 We use the industry's leading materials and stay up-to-date on the latest concrete restoration and waterproofing techniques to ensure that our customers receive superior results at competitive rates. Whether you have a cracked driveway, a damaged wall, or a deteriorating balcony, Concrete Restoration Systems has a solution for you. 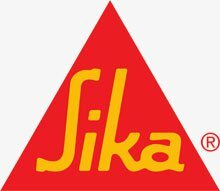 We are certified by Sika, SealBoss, Master Builders Solutions by BASF, Tremco Inc., and WestCoat, the industry's manufacturers, and have used their reliable products to repair and restore thousands of residential and commercial buildings throughout Southern California. Our skilled team has the knowledge and expertise to accurately assess your concrete damage and recommend the solution that will offer the best results. Our priority is to provide safe and reliable concrete repair and restoration services to every client. We do things the right way; or we won't do them at all. Call Concrete Restoration Systems today at (714) 996-3177. We are a fully licensed and insured speciality contractor with decades of experience repairing earthquake damage to concrete structures throughout Southern California. We are available Monday through Friday from 6:30am to 5:00pm, and offer a free on-site consultation for all jobs. We believe in honest, straightforward business practices, and we stand by all our work with a written guarantee.